Foam rolling might seem like a fleeting trend touted by fitness gurus and celebrity athletes, but the more it is used and studied, the more it seems like it is effectively going to stick around . . . and turns out, that’s good thing. If you’ve seen the acronym SMR thrown around the health and fitness space, what is referrs to is self-myofascial release therapy. Foam rolling is a type of SMR, which means that it can effectively help mobilize the connective fascia tissue in the body. From physical activity to prolonged sitting, your musculoskeletal system takes a beating throughout the day and can often leave muscles tense, contracted, and full of knots. Fascia, the tough elastic tissue that wraps around and connects most structures in your body helps to protect and support muscle health. Your fascia can become tight as well so it is believed the myofascial release therapy can help increase blood circulation, loosen fascia, and reorganize jumbled tissue fibers. Different than simple static stretching, foam rolling helps to engage muscles while you stretch them, naturally warming them up and facilitating a greater pliability. Stretching also only targets muscle while foam rolling additionally gets into the myofascial layer that covers all your muscles. Increased Range of Motion – a 2015 study found an improved joint range of motion with application of a roller-massage as well as increased neuromuscular activity in the quadriceps and knee joint during a lunge. Looser joints and more elastic muscle and fascia tissue can effectively improve range of motion during physical activity. 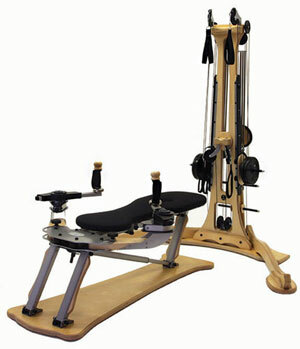 Better Flexibility – the application of deep pressure into the myofascial layer, as well as the repeated movement of rolling back and forth, helps to increase blood circulation which flushes out waste byproducts and toxins from tissues. Doing this helps to relax muscles and allow them to be loosened, stretched, and made more limber. Pain Relief – Pain stemming from joint inflammation, muscle tension, and spasming nerve endings may be alleviated by foam rolling. In fact, a 2017 study showed that foam rolling successfully reduced pain perception following delayed-onset muscle soreness (DOMS) from high-intensity physical exertion. 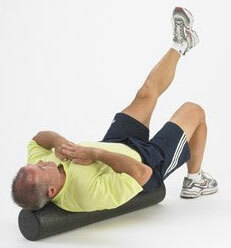 Foam rollers come in a variety of shapes, sizes, and densities (i.e. firm, medium, etc). 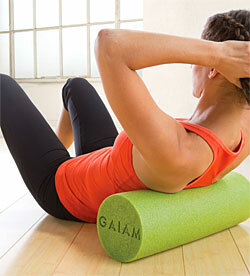 Check out the 15 best foam rollers for back pain. Improved Lymphatic Flow – unlike your circulatory system, your lymphatic system, which is responsible for detecting and filtering out pathogens and toxins from the body, requires muscle contraction and release to properly keep flowing. Foam rolling is a practice which can help boost lymphatic flow and thusly bolster your body’s own immune defenses. Support Better Posture Habits – when your back muscles are tense and sore, it’s natural to fall into a slumped or slouched body position when sitting or standing. As foam rolling helps to target pain relief to your back and hips, as well as improve range of motion and loosen joints, it can make it easier for you to routinely sit up straighter and remember good posture habits. Learn – ask a trainer at your gym about proper foam rolling technique or watch guided online videos from knowledgeable instructors who can show you the do’s and don’ts of foam rolling. For example, you never want to roll directly over bones or joints, but you do want to focus on trigger points in your sore muscles. Go slow and breath – rolling back and forth as fast as you can over your roller doesn’t guarantee you the benefits of the deep fascial pressure therapy you’re looking for. Experts recommend rolling about one inch per second and practice deep breathing techniques; this allows you to better control your stretch and release, and gives the roller ample time to break up tight myofascial tissue. Keep it up – the most optimal results from foam rolling are found when it is done regularly, multiple days a week either before or after a workout. Experts recommend 3 to 5 sets of consistent 20 to 30-second repetitions. Don’t roll through pain – foam rolling will often feel more intense than stretching, and over sore trigger points in muscles like your glutes or quads, for example, can even mirror a pain like you would feel with a deep tissue massage. Severe and sudden pain, however, shouldn’t be ignored as you can aggravate an existing injury or potentially cause a new one. As a tool for physical therapy and exercise recovery, foam rolling continues to be studied and researched. Indications that foam rolling can speed up tissue repair and recovery after physical activity as well as enhance performance aren’t too far off either.